Martin J. 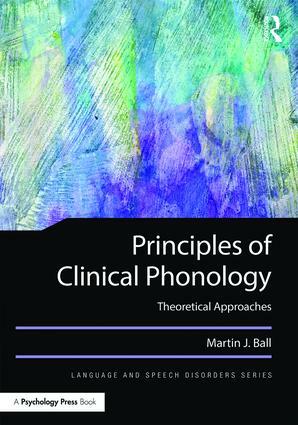 Ball is Professor of Speech Language Pathology, specializing in clinical linguistics and phonetics, at Linköping University in Sweden. He has previously held positions in Wales, Ireland, and the US. This new series brings together course material and new research for students, practitioners, and researchers in the various areas of language and speech disorders. Textbooks covering the basics of the discipline will be designed for courses within communication disorders programs in the English-speaking world, and monographs and edited collections will present cutting-edge research from leading scholars in the field.